Help your little one learn to say goodbye with the perfect story for soothing separation anxiety. 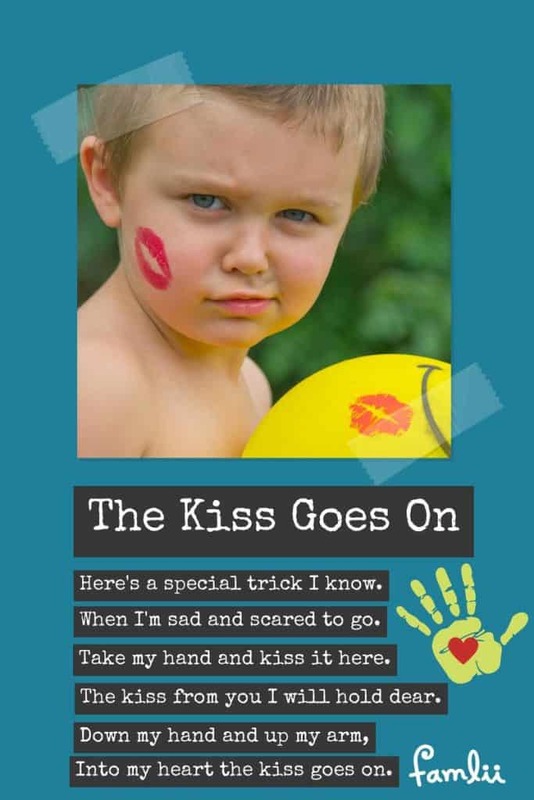 Read The Kissing Hand by Audrey Penn and teach your child The Kiss Goes On poem. Looking for a kissing hand poem to share with young children during the first days of school? Here’s a special trick I know. When I’m sad and scared to go. Take my hand and kiss it here. The kiss from you I will hold dear. Into my heart the kiss goes on. From starting Preschool to Grade School, parents and teachers all love reading The Kissing Hand during those first days of school. Chester Raccoon’s mother helps him remember that she loves him and is thinking about him, even when he is away from her at school. His mother shares a kiss that Chester can take with him so he’s never alone. The book is an excellent example of how to teach children to talk about their fears, and the importance of coming up with solutions together as a family. 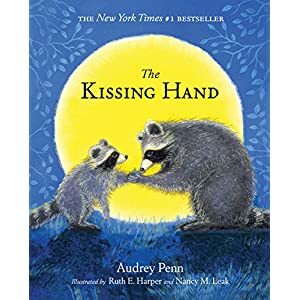 Children’s author Audrey Penn was inspired to write The Kissing Hand after she observed a mother raccoon actually kiss her cub’s paw, and then watched as the cub put the kiss on her face. 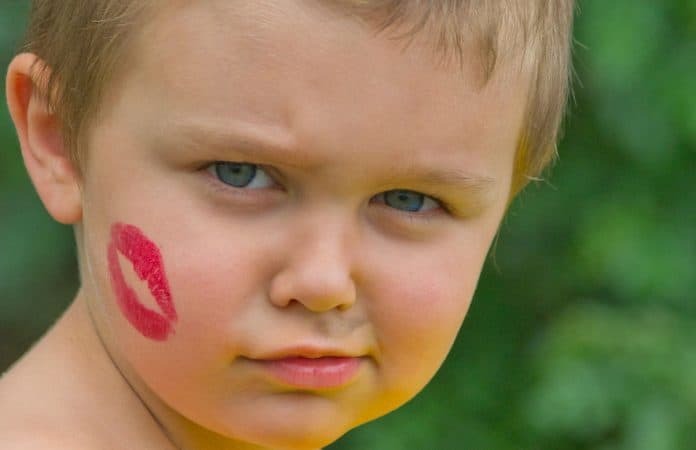 When her daughter was afraid to go to kindergarten, she remembered the mommy raccoon’s kiss and wrote the heartwarming story for her daughter. Place a heart sticker on each child’s hand. Color a picture of Chester Raccoon. Act out the story with a Raccoon Puppet. Make a card with handprint art. Send a Kissing Hand poem home.